Synopsis: A family's happiness is shattered when their father dies a sudden gruesome death after spitting up glass. Soon, mysterious events begin plaguing the family and their village. The mother, Sri, begins to experience disturbing occult visions, making her increasingly paranoid and fearful. The village shaman dies mysteriously and his house is burnt to the ground. Circumstances escalate at a deadly pace, forcing the children Andi and Dina to make a fateful decision that will unroot the cause of their father’s mysterious death and save their mother. 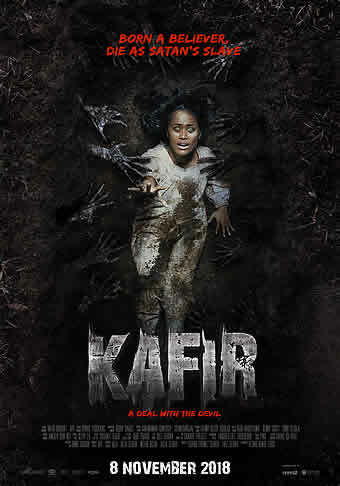 KAFIR is an Indonesia horror directed by Azhar Kinoi Lubis?